It's always great to hear feedback with My Stories. As a result, I've decided to publish what was sent. Here is a little information about this individual. The person's name is Gus Pantelides. He's been the Owner/President of a Successful Direct Marketing Company Named Pros Marketing. Pantelides has dealt with automobile dealers and clients that specialize in working with homeowners. His office is in Clearwater, FL. He resides in the Tampa Bay Area and has been an Associate Member of The Detroit Sports Broadcasters Association since 2005. He's from the Metro Detroit Area and has followed those major sports teams, plus is a proud Michigan State Spartans Follower. Years ago, he won a Tom Selleck Look-Alike-Contest in Clearwater, FL. Throughout the years, he's been a loyal follower and we've had some Spirited Debates. Pantelides was very smart when he decided not to comment on the DeFlate Gate Controversy this week at the Super Bowl. Whether he even cared about the subject or omitted it, only he knows. But here is what he said about the other subjects which were discussed yesterday. Number 1. New England blows out Seattle by more than 2 touchdowns! Number 2. Johnny Manziel will end up in the CFL or Arena Football League at best. Number 3. John Fox will do a good job with the Bears. Number 4. 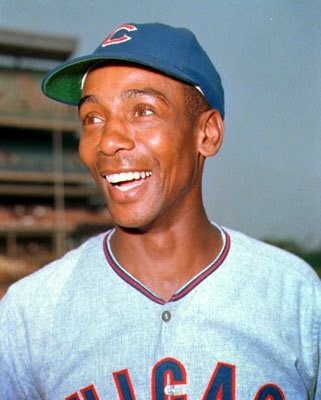 Ernie Banks was and always will be one of the best. Number 5. Don't follow the NBA enough to comment on Jason Kidd. Number 6. The NHL (so called) All Star game was a farce. The league should be embarrassed to have put on such a terrible exhibition of hockey. They did themselves no favors in trying to lure fans to the sport with such a game. A "pond hockey" game would have been more exciting. I encourage anybody to respond and I will be more than happy to post their opinions as I've done with Gus Pantelides. 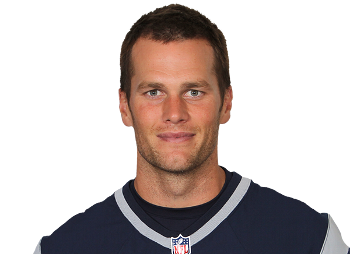 DeFlate Gate: I have no idea as to why I'm giving this subject any attention therefore, I must be absolutely crazy. ESPN along with the other Major Sports Networks, plus Social Media have saturated us with this absurd non story. First of all the New England Patriots hammered the Indianapolis Colts 45-7 in Massachusetts in the AFC Championship Game. Running back LeGarrette Blount ran for three touchdowns to lead the Patriots. As far as I'm concerned, Blount could have used a "Nerf Football" and then we wouldn't have to listen to the DeFlate Gate Garbage. The bottom line is the Colts got their rear-ends kicked, It's that plain and simple. End of story. Super Bowl Prediction: My colleague George Eichorn asked for one two days ago and now I'll go on record as to what I think will happen Sunday as the defending champions Seattle Seahawks (12-4) look to defend their title against the New England Patriots (12-4) in the battle of No. 1 seeds in Glendale, AZ. Blount tends to come up with clutch performances in big games and this one will be no exception. This guy is a powerful wrecking machine and has some good acceleration when he finds space. The Pittsburgh Steelers signed him in the off-season and he was let go because he was annoyed that he didn't have a bigger role in their running attack. The Patriots were smart enough to snap him up quickly. I look for former U-M QB Tim Brady to get another ring and Tight End Rob Gronkowski at 6-6 is one tall target who is too tough to defend. Between Blount and Gronkowski, this is one potent-powerful one-two punch which will cause havoc for the Seattle defense. Seattle's defense has allowed 11 TD's to tight ends. Brady is playing in his sixth Super Bowl and is 3-2. If he wins his fourth title, he ties legends Joe Montana (San Francisco) and Terry Bradshaw (Pittsburgh) for the most in Super Bowl history. I do look for a two point play of some kind in this contest. My Final Score has New England winning 33-27 as the Patriots take the Lombardi Trophy back to the East Coast. Since Seattle Running Back Marshawn Lynch doesn't like to talk to the media, now he'll have a reason to stay silent while former New England Coach and current Seahawks boss Pete Carroll loses to his former employer. John Fox to the Chicago Bears may be the only way to fix Jay Cutler and he brings Adam Gase in as his offensive coordinator from the Denver Broncos. It was four years ago that Fox actually won a playoff game with former Heisman Trophy winner Tim Tebow as his signal caller reaching the playoffs with an 8-8 record. I actually thought that former Denver Broncos Coach Mike Shanahan had a chance to get the Bears job until Fox unexpectedly became available. I had a friendly prediction with a good friend named Robert Schultz, who is a Chicago native that now resides in the Dallas suburb of Hurst, TX. Schultz was quick to joke around that I was wrong but I quickly rebuttled that I just chose the wrong former Denver coach. We shared laughs on this though Shanahan is one guy who had previously worked with Cutler and former Broncos Wide Receiver Brandon Marshall. If Gase is able to get any production from these two players and does turn Cutler around, there is no doubt he'll get a head coaching job for the 2016 season. The early returns on QB Johnny Manziel have BUST written on them right now. It's a shame that Manziel hasn't grown up yet and he's more hype than substance. He prefers to party rather than study. The Cleveland Browns spent a late first round pick for a fraternity brat that likes to go to night clubs and makes more headlines off the field than on the field. Manziel has a good arm and his mobility demonstrates there is some talent. It's just too bad that he doesn't appreciate the opportunity he has. I've always admired the attitude of Tebow and wish that he had more of an opportunity to play in the NFL. While Tebow's mechanics remain his biggest downfall, you can't teach work ethic, maturity and character issues with Tim. I just wish Tim had played football in the Canadian Football League to continue to use this as a stepping stone to return to the NFL. Even New England Patriots Owner Robert Kraft was hoping he'd make the team two years ago. But it wasn't meant to be as he truly enjoyed Tebow's character, attitude, personality and work ethic. But back to Manziel. At the rate he's going, he'll be out of the league in three years as new QB prospects get developed in college. Hopefully Manziel is smart enough to realize that if a nice guy like Tebow can get railroaded out of the NFL, he won't be too far behind. The words more trouble than your worth are common in the NFL because you're paid to produce in this league. If you don't do your job then someone else will be more than happy to take it from you. Milwaukee Bucks Coach Jason Kidd is looking like a genius for leaving the Brooklyn Nets after one season. Owner Mikhail Prokhorov has put his 80% majority interest up for sale. It looks like the Russian Billionaire has lost interest in his toy which is losing millions of dollars a year. The Nets are 18-27 as of this post and are out of the playoffs. The team is evaluating Coach Lionel Hollins. Meanwhile, Kidd has the Bucks in playoff contention and are the sixth seed in the Eastern Conference with a 23-22 mark. They lost their franchise rookie Small Forward Jabari Parker to a season ending injury but keep plugging in other players. Guard Brandon Knight is having a fine season. The team just signed veteran Power Forward Kenyon Martin to provide veteran leadership. Kidd's former teammate with the New Jersey Nets was a big part of helping them reach the 2002 and 2003 Finals. Center Larry Sanders is currently serving a 10-game suspension because of drug use and has missed other games due to personal problems. I'd be very surprised if Sanders is still on the roster and the Bucks buy out the rest of his contract. Whatever happens, the Bucks are on House Money since they had a franchise worst 15 wins last season. What a difference a new coach and philosophy makes. It will be interesting to see what happens the remainder of the season. The team knows it needs to get a new stadium built by 2017 or risk the possibility of losing it to another market. Winning will cure a lot of this and as Kidd continues to mature as a coach since he's only in his second year, thus the upside seems endless for both the Bucks and Kidd. A Hockey Game I didn't watch was this years NHL All-Star Game Sunday in Columbus, Ohio. Team Toews defeats Team Foligno 17-12 Sunday as the 29 goals were the events most in the 60-year All-Star Game which has changed formats numerous of times. When a game has a fake fight and no defense, this is absurd! The previous high was a 26-goal burst in North America's 14-12 win over the World in 2001. I'm glad I watched the Cleveland Cavaliers 108-98 win over Oklahoma City on ABC. Cleveland's LeBron James and OKC's Kevin Durant were definitely worth watching. The NHL All-Star Game was on NBC Sports Network and I can't imagine that the ratings were that great. I don't mind watching superstars demonstrate their talent, but when the game comes across as fake entertainment then it leaves a lot to be desired about it's validity. Addition by subtraction is something that I hate to discuss when it comes to the Baseball Hall of Fame. A couple weeks ago the latest residents to enter the Baseball Hall of Fame are Pedro Martinez, Randy Johnson, Craig Biggio and John Smoltz. All of these players have earned their place in Cooperstown, NY because of their Excellent Careers. The subtraction parts comes at the expense of Mr. Cub Ernie Banks, who died on January 23, 2015 just seven days shy of his 84th birthday. He was the greatest Cub of all-time and smacked 512 home runs. He was the first Cub to ever have his number retired. His No.14 was retired in 1982 and Banks has a statue outside of Wrigley Field that was erected in 2008. Banks played all 19 of his seasons with the Cubs from 1953-1971 at first base and shortstop. He was an 11-time All-Star and was a first ballot Hall of Fame selection in 1977. This guy gets a Gold Medal for positive attitude because during his career the Cubs never reached the post-season. His teams finished below .500 in all but six seasons. Banks was named to Baseball's All-Century Team in 1999. So when we watch this year's induction ceremony July 26, 2015, it's too bad that Banks won't be there to greet the four newest inductees. But at least he was alive to see the four players who are the latest of the greatest to reach immortality in the Great American Past-Time. He'll be watching these ceremonies in Heaven and he'll never be forgotten. Rest In Peace Ernie as you join many of the greatest deceased Hall of Famers in Heaven. It's so difficult to talk about every Major Headline both on the Metro Detroit Sports Scene as well as Nationally. So from time to time a New Theme is being introduced today. It's called Sports Shorts. There will be Detroit Sports Shorts and National Sports Shorts. Today, I'm going to talk about My Hometown Detroit. Bill Bonds Tribute: Bill was My All-Time Favorite News Anchor in Detroit! Paired with Diana Lewis, this was one of the best anchor teams that I've ever seen including living in Major Areas such as Miami, Fort Lauderdale, West Palm Beach, FLA, Tampa Bay, FLA, Phoenix, AZ and Charlotte, NC. But what stands out about Bonds in my eyes was we used to spend time together at the Pistons games during the Pre and Post Bad Boys Era. We talked about life and basketball at dinner as well during halftime. He came across to me as down to earth and easy to get along with. We had Mutual Respect for one another and this showed in our conversations. I referred to him as a fellow colleague. Bonds died at the age of 82 at his Bloomfield Hills, MI home on December 13, 2014 of a heart attack. I followed the tributes of Bill online and it just made me that much prouder when I was living in Metro Detroit knowing we had great memories together. Rest In Peace Bill. When I return to the Palace to cover Pistons games in the future, it just won't be the same because someone will be missing. It's you Bill! God Bless. Now God can appreciate your candor as well as your ability to speak your mind. Gordie Howe: Things didn't look good for another Detroit Sports Icon. Gordie Howe has been suffering from dementia and had a major stroke on October 26, 2014 at his daughter's house in Texas. Things looked bleak for Mr. Hockey, who is now 86-years old. Mr. Hockey needed to score one goal and it was in a country that didn't even know him. Mexico is known for having an excellent soccer tradition. But this country gave the Hockey World hope that a stem cell procedure could make a difference and enable Mr. Hockey to hang around with us. According to Howe's family, they described the treatment as neural stem cells injected into the spinal canal as well as mesenchymal stem cells administered by intravenous infusion. These stem cell therapies haven't been approved by government regulators in Canada or the U.S.
Now that Gordie Howe's health has dramatically improved due to this procedure in Mexico, it usually takes one legendary name to increase awareness towards making progress to cure a disease. Magic Johnson's HIV Virus which leads to Aids used to be a Death Sentence. Now Johnson's awareness has changed that perception just like Howe's situation could very well do the same. Mike Babcock continues to amaze me! The Red Wings currently have a six-game winning streak and are once again making a run to return to the playoffs. Babcock has the Red Wings in first place as of this post with a 28-11-9 record for 65 points in the Atlantic Division following a 5-4 road win over the Florida Panthers. Detroit plays at second place Tampa Bay (30-15-4, 64) on Thursday Night. On April 8, 2014, Babcock earned his 414th career win as head coach of the Red Wings to surpass Jack Adams as the winningest coach in Detroit History. On December 6, 2014, Babcock earned his 500th career win as a head coach becoming the second fastest in league history to do so. Only Hall of Famer, and Former Red Wings Coach Scotty Bowman reached the 500 win plateau faster. It's no secret that Babcock will become a free agent after this season. There have been rumors that the Toronto Maple Leafs would covet and try to hire him. But keep in mind that Babcock is a Smart Man! He's won Gold Medals, a Stanley Cup, and he knows that the Maple Leafs have been a struggling franchise for years. As of this post, Toronto has a 22-23-3 mark for 47 points. The Maple Leafs are in seventh place ahead of the Buffalo Sabres, whom are entrenched in the Atlantic Division basement. Babcock will listen to what Toronto offers and don't be surprised if the Red Wings either match or increase that offer. Babcock's decision will come down to what team has a better chance to win. The 51-year-old coach isn't looking for a rebuilding project. He knows he has a good young group of players as the Red Wings continue to retool. Plus, he has an owner in Mike Illitch that has deep pockets to attract free agents and secure his younger players with contract extensions. It helps to have a brilliant GM in Ken Holland. Should he keep coaching the Red Wings, his records behind the bench will never get broken! Max Scherzer is now the ace of the Washington Nationals. The one-time franchise which was the Montreal Expos spent $210 Million to lure him to the Nations Capital. Rarely do the Tigers lose a free agent due to money. But after doing research on pitchers in their 30's that get these deals, they backfire for those organizations. They run into arm troubles which could lead to surgery due to wear and tear on their arms. When you think of the fact that the New York Yankeees, Boston Red Sox, the Los Angeles Dodgers and Tigers weren't destinations for Scherzer, this gives Detroit justification as to why Scherzer is gone. I don't blame the Tigers for not re-signing Scherzer. He turned down a 6-year $144 Million offer last spring much to the frustration of Owner Mike Illitch. We're talking $24 Million per-year in an economically struggling area turning down this money. Even though Scherzer said he deferred half of his money in an attempt to lure other players and collect later, that's all well and good. I could care less about the full page ad that Scherzer took out to thank the Tigers and fans. The Tigers were patient with his early struggles and he made a lot of money. He should be thankful. It also helped that Scherzer had lots of run support in the Tigers line-up. But the Tigers were smart that they traded for Tampa Bay Rays Ace David Price at the Trade Deadline. I have a feeling after he gets comfortable at Pitcher Friendly Comerica Park the Tigers will sign him to an extension. There could be other moves for President/GM Dave Dombrowski either before Spring Training, during the Regular Season leading up to the Trade Deadline. In the end, Detroit will be fine and at least he's in the National League so the Tigers won't have to face him on a regular basis. The Lottery Pick which the Detroit Pistons lost to the Charlotte Hornets isn't haunting the team yet. Charlotte got the No.9 overall selection in a deal that past President Joe Dumars made. Noah Vonleh wears No.11 for the Hornets, which is the same number Isiah Thomas had in Detroit. They both played at Indiana, but that's where the similarities end. Vonleh, 19, is a 6-10, 240 pound power forward has struggled this season due to injuries and has divided time with the NBA Developmental League's Fort Wayne Mad Ants. He's currently averaging 1.9 points-per-game, 2.3 rebounds-per-game and 0.1 assists-per-game in eight games. The Hornets are currently 19-26 and are currently in the eighth and final seed as of this post. At least the Pistons don't have this trade hanging over them anymore. Before the Detroit Lions 30-20 loss to the Green Bay Packers December 28, 2014 at Lambeau Field, Fox 2's Sports Director Dan Miller and I agreed during lunch about one standout defensive player. Miller, also the Lions radio play-by-play announcer and I believe Ndamukong Suh will either get franchised, become a transition player or reach a long term contract. Like My Mentor Tony DeMarco, I have no use for Social Media! Much of the junk written goes against how we were trained as Journalists! In Suh's five years with the Lions, Detroit's reached the playoffs twice. His presence on the field makes his teammates better around them. I don't care that he's amassed $420,669 in fines during his career. He's aggressive and old school. He'd be an impact player in any era. Throughout the years with previous Lions management, many never retained their core players. One defensive guy that should have retired a Lion was Chris Spielman, who played with the team from 1988-95 and played in four Pro Bowls with Detroit. I do believe that Martin Mayhew and Coach Jim Caldwell won't make the same mistake with Suh. The salary cap will increase and they seem committed to getting the Ford Family a Super Bowl title. During the 2014 season, Caldwell did a nice job handling the kicking situation getting it right on the third try with the addition of Matt Prater. Neither of these guys were pleased with the lack of production from running back Reggie Bush, who could be an off-season salary cap casualty. On March 12, 2014 Detroit signed free agent wide receiver Golden Tate away from the Seattle Seahawks giving him a 5-year $31 Million contract with $13.25 guaranteed. How did this work out? This has "Genius" written all over it! Tate played and started in all 16 games. He had 99 receptions for 1,331 yards and four touchdowns. He was selected to his first Pro Bowl. Caldwell managed to win despite injuries to Calvin Johnson and Nick Fairley among others. Overcoming this showed the organization is headed in the right direction. QB Matt Stafford didn't reach the 5,000 yard mark, however, who's complaining about his 4,257 yards, 22 TD's and 12 interceptions. He led the team to some exciting come from behind victories to get the Lions into the playoffs. If there is any improvement from rookie Tight End Eric Ebron, Stafford will have another quality target in 2015. Would the presence of Center Dominic Raiola at Green Bay have made a difference in the Lions leaving Wisconsin with their 24th consecutive loss? The Lions also dropped to 10-31-3 all-time at Lambeau and 24-57-4 in Wisconsin. Detroit's all-time record against Green Bay is now 67-95-7. We'll never know but he didn't use good judgement and wasn't available. As a result, the Lions had to play the Dallas Cowboys on the road in the first round of the playoffs instead of hosting a home game that would have resulted in a higher seed. Now the Lions aren't bringing Raiola for the 2015 season thus completing his 14-year run in Detroit. Before the 2014 season, there were many people in the Local and National Media that felt Detroit would finish under .500 and fail to make the playoffs. They look quite stupid and I have a feeling Detroit will get more games in prime time in 2015. I was amused by many of these so called experts that Detroit was going to get blown out in Dallas by at least 14 points. The Cowboys escaped with a 24-20 win thus making these analysts look stupid. This actually turned out to be the best game of the weekend. Fox had excellent ratings for the contest. In Green Bay, the Lions punt team failed them as Micah Hyde had a 55-yard punt return for a touchdown and enjoyed his Lambeau Leap. Against the Cowboys, Punter Sam Martin's 10-yard punt in the fourth quarter led to the Cowboys game winning drive that gave Dallas a 24-20 lead. Once again, a key special teams situation failed Detroit. One thing that I'll say about the Lions is the NFL Rule Book gets re-written and often analyzed. On November 26, 1998 against the Pittsburgh Steelers, a Thanksgiving Game Lions 19-16 win at the Pontiac Silverdome will be known as the "Botched Coin Toss" as Jason Hanson converted a 42-yard field goal in overtime. The "Calvin Johnson Rule" was created on September 12, 2010 where the receiver must have control to complete the process in a 19-14 loss at Chicago's Soldier Field. This happened with 31 seconds left in the game. The 2012 Thanksgiving November 22, 34-31 OT loss to the Houston Texans is infamously known for the "Mistake Challenge" where former Coach Jim Schwartz overreacted on a scoring play that prevented it from getting reviewed. Now to the Cowboys game. The Lions made headlines but also made a few friends in an unfortunate way. Did the Cowboys get some home cooking? Figure it this way, the NFL admitted that it blew seven calls, including the controversial "Pass Interference That Wasn't." Do you think that Suh wants to see his Lions career end that way now that he's playing for a contender? I doubt it and so does Miller. How many Lions fans did the Green Bay Packers amass when Dez Bryant fell victim to the "Calvin Johnson Rule" as the Cowboys lost 26-21 at Lambeau Field in the Divisional Round? America's Team lost Ice Bowl II and this was talked about all over the Media and analyzed in Social Media. No breaks for the Cowboys in Wisconsin. Unlike other sports, 31 teams are miserable when the NFL Playoff Tournament comes down to a one-game elimination compared to a series in the NBA, NHL and MLB. But considering where the franchise was a year ago at 7-9 that saw Schwartz get fired, Detroit had to patiently wait for his successor. Former Arizona Cardinals Coach Ken Whisenhunt and former Bears Coach Lovie Smith were high on Detroit's wish list. Smith decided to coach the Tampa Bay Bucs and Whisenhunt the Tennessee Titans. Neither of these teams had a franchise QB in place and as a result finished with identical 2-14 records. The Bucs get the top pick in the 2015 NFL Draft while Tennessee is second. Caldwell got recommendations from Tony Dungy and Peyton Manning and the Lions season was much, much better than Smith and Whisenhunt. Even if the Lions had beaten Green Bay, who knows how far they would have advanced. The loss in Green Bay was tough for Lions Offensive Coordinator Joe Lombardi, whose grandfather Vince Lombardi won championships in this venue plus has a street named after him. But there is no sense of dwelling on what would have been because they Packers experienced a tough 28-22 OT road loss Sunday to the Seattle Seahawks, the defending Super Bowl Champions in the NFC Championship Game. After the Packers game, Caldwell reflected on the positive by saying, "There are only 12 teams working at the end of the night, and we are one of the 12. You better be excited about that opportunity." Stafford added, "We are a battle-tested team. We have won 11 games this year. We found ways to win a lot of them and we will continue to do that. We are a mature football team." There is no question Detroit acquired a lot of valuable lessons in their season ending two-game losing streak. Mayhew, Caldwell and the rest of the scouting staff are now evaluating tape from this past bowl season enabling the Lions to retool by adding additional pieces. The Senior Bowl is Sunday in Mobile, Alabama. There were lots of interviews with players and practices to scout this week. One thing is for certain, Caldwell changed the culture, instilled discipline to a franchise which hasn't seen at least 11 wins since the 1991 season when Detroit was 12-4. If Suh stays because of Caldwell's calm demeanor then this will solidify that Jim may not have been the First Choice, but he was indeed the Best Choice. 1) Have to be Good. 2) Have to be Lucky. 3) Have to be Healthy. Seems like a simple formula but yet so complicated and difficult to conquer. We find that out on Black Monday at the end of every season and those that do succeed in the Super Bowl have the right to cherish the accomplishment.